The Belize Police Department extends its deepest condolences to the family and friends grieving the loss of Mr. Hilberto Sotz who was detained by the police in Caye Caulker and subsequently died unexpectedly. The Commissioner of Police takes this opportunity to assure the family as well as the citizenry that an expeditious, thorough and transparent criminal, as well as internal investigation is presently underway and any evidence of wrong doing will be promptly dealt with. The outcome of those investigations will be made public at the earliest. 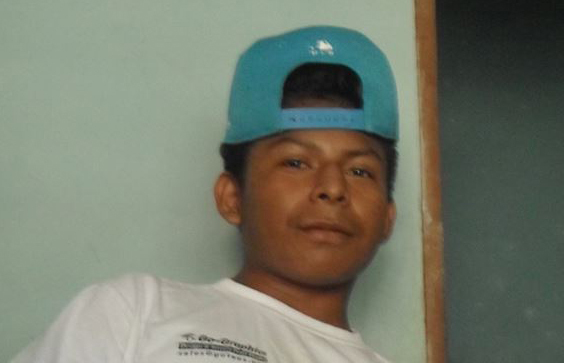 Information gathered to date is that on Monday June 8, 2015 at 11:50 am, 18-year-old Hilberto Sotz of Bahia Puesto Del Sol, Caye Caulker Village was detained at Caye Caulker police station pending investigation into a series of burglaries. Sometime around 5:00pm, while being interviewed, he reportedly started complaining of chest pain and had difficulty breathing. He was rushed to the poly clinic for medical treatment where he passed away. Unfortunately, this situation led to concern villagers who surrounded the Poly clinic and the Police Station where some of those persons present threw missiles, causing minimal damage to the building and its contents. The movement of the police and others working within both buildings were impeded by the gathering. Warning shots were fired in the air in an effort to ward off those persons. A golf cart loaned to the police valued at some $13,000 was stolen while parked at the Poly clinic and was recovered in the early morning of Tuesday June 9, 2015. The Commissioner of Police dispatched senior investigators from Belize City as well as senior officers from the Professional Standards Branch and directed that a thorough investigation be launched to determine the circumstances leading to the detention and the passing of Mr. Hilberto Sotz, whose body now lies at Karl Heusner Memorial Hospital Morgue. Arrangements are being made for Post Mortem examination to be conducted as earliest today. Two police officers are presently detained pending the outcome of investigation. Reinforcement was also dispatched from Belize City and the San Pedro detachment to contain the situation. Peace and normalcy were restored around 11:00pm. Members of the public are reminded that while citizens have the right to assemble and protest, they do not have the right to destroy the property of others be it public or private nor restrict the movement of other citizens from conducting lawful business. The general public is encouraged to continue working in partnership with the police department in making our communities safer. It is well known that what the police call an interview is usually a torturing to force a person to admit the commission of a crime that he may or may not be responsible for. It is also an established fact that the interview victims are blindfolded so they won't be able to identify the police officer who is doing the torturing. Some police officers normally focus on hitting the stomach area so there won't be much external evidence to prove brutality. The police officers need to be trained, obviously, to do a proper investigation instead of just torturing someone for a false confession. I is very clear that they cannot use their head on their own. Whatever the police commissioner say, the people have the right to demand justice. The authorities have a long history of not doing what is right, and not listening to peaceful requests for justice from the people.